A man was arrested recently in his Houston home by U.S. Marshalls for failure to completely pay the government for a small amount owed on a student loan. Most student loans are backed by the U.S. government so when you don’t pay them you apparently now get to see the U.S. Marshalls at your door with guns drawn. You don’t need to owe the U.S. government very much. The man in question only owed $1500. Paul Aker of Houston came outside slowly with his hands up and he was arrested by the marshals who had surrounded his home. He said he did not have any idea why he was being arrested until he was in the car on his way to jail where the marshals revealed that he had an outstanding student loan debt. Mr. Aker had actually paid off two student loans in the past and he believed he did not owe any more to the government. The arresting agents asked him if he was in the habit of stealing from the U.S. government. The U.S. Marshalls did release a statement explaining that it is their duty to serve federal process and to make arrests and they had apparently contacted Mr. Akers by phone to get him to appear in court and he refused. It would have been a good idea for him to go to court before this unfortunate incident because he was forced to pay the government back for the cost of his arrest ($1258.60) in addition to the delinquent loan with interest. They did “allow” him to pay off the debt in $200 monthly installments but I would ask what happens if he stops paying the monthly amount? Do more armed agents show up at his door and arrest him again? Most of my clients can’t afford such monthly installments and therefore they don’t continue to pay them. Indeed in chapter 13 bankruptcies most debtors fall out of their chapter 13 plans for failure to pay. I have written in the past about people being arrested and sent to debtor’s prison for unpaid debts but that is rare in America and it is not done at all in most states. Debtor’s prisons were supposed to be completely outlawed in the 1800s. The federal government appears to be the worst creditor of all to owe as their full military and police power can be turned against a person for some small student loan as we see here. For many years similar heavy handed tactics have been reported to have been used by the IRS for unpaid back taxes. With a private non-student debt you would not see anything like this. Unfortunately there is not much bankruptcy can do for people with student loan debts. Currently student loans cannot be discharged in bankruptcy (unless there is “extreme hardship”) though we attorneys are hoping that someday that law will be changed to allow people to escape these debts if they cannot pay them. In America there is something like $1.2 trillion owed in student debts and no politician has yet done anything about it. In the mean time I think it is a good idea to avoid these student loans wherever possible. They last forever, they cannot be discharged in bankruptcy, and someday a tragedy could occur when an overzealous marshal pulls a trigger and possibly ends a person’s life for a few delinquent student loan dollars. For those that already have the loans I would suggest you stay in continual contact with some representative of the government to work out whatever deal you can with them just like you would with the IRS. If you do not you might have the misfortune of seeing armed federal agents surrounding your house who will place you under arrest and make you appear before a federal judge. Let’s hope that someday the law will be changed and student loans will become dischargeable in bankruptcy even if the student debt has to be 10 or 20 years old before it is eligible for discharge. 1 Trillion dollar problem. Student loan debt increases 275% over the last decade! When will they be bankruptable? It’s true! According to an article posted online by CNN Money student loan debt has tripled in the last 10 years. The total amount of student loan debt in the U.S. is $904 billion in the first quarter of 2012 and that is up from $241 billion in 2003. It is now the second highest form of debt behind mortgages which means that credit cards have less charged on them than these student loans. As if this is not bad enough the debt keeps growing. In fact it is the only type of debt that has substantially increased since 2008 according to a senior economist at the NY Fed. And the delinquency rates on these student loans are also rising. They are up to 8.69% from just 6.13% a decade ago. Does this mean that over 90% of people are not delinquent? No! Almost 50% of these loans are currently in deferment or grace periods according to another Fed. economist. That means that 60% of these loans are basically not being paid because the borrowers who are still in school or unemployed don’t have to pay anything yet. So you have a whole class of debts that has reached astronomical heights and almost two-thirds of that debt is not being serviced. It sounds like a potential disaster to me. The median amount borrowed is $12,800 but 25% of borrowers owe more than $28,000, and 10% owe more than $54,000, and 3% owe over $100,000. 90% of the lending comes from the federal government and borrowing is way up apparently because of the economic downturn. Students are apparently rushing to take out new debt for this coming year. Most likely debt which they cannot pay. My experience with these student loans is that they don’t care if you get a job in your field or if you cannot pay your rent. They want their money when you get out and get a job and they will wait forever to get you to pay. They tacked on over $7000 to a student loan which a client of mine took out years ago after he did not make payments on the loan. We attempted to settle with borrowed money but they would have none of it. They wanted their whole amount plus their interest and fees and they were not interested in any settlement. My client made $10,000 a year on menial labor with a pregnant wife and two children and the student loan collectors did not care even that he would probably never be able to pay the debts. Nor did they care that he never got a job in the field which he studied for. The lady on the phone told me that “lots of people are having hard times”. Yes, and let them eat cake! How long can this country tolerate this intolerable student loan problem? It’s over A trillion dollars and growing and 60% of these loans are not being paid on. Collectors don’t care whether you can pay or not and just want the money and the economy is down so people are lining up to get more loans which they will never be able to pay. The whole problem could be solved by making these debts dischargeable in a bankruptcy. It is ridiculous that these loans cannot be included in bankruptcy when car loans, credit card loans, personal loans and mortgage loans can all be taken care of through a bankruptcy. How can it be that someone who tries to improve themself by getting an education must be stuck with that debt for life when others can get rid of their debts in bankruptcy when they reach the level which they cannot pay for them? And it is not just a problem for government backed loans. Private student loans are also not dischargeable in bankruptcy since 2005. This has led to an explosion in private student loan debt too that leaves many with worthless degrees and debts they cannot pay for. I also wrote a blog about private student loan debt. I also argued in another blog that student loans should be dischargeable in bankruptcy. If they made all student loans dischargeable in bankruptcy then the problem would go away for these students. That is what bankruptcy is for. It serves to help people get rid of debts which they have no hope of paying and then move on in life with a fresh start. The whole bankruptcy process is looked over by a series of trustees and a bankruptcy judge. They make sure that income and assets are insufficient to pay the debts and to make sure there is no fraud. It is the perfect system to handle these debts. How long can we kick the can down the road? These students cannot pay these debts. Like many of my clients they are barely surviving and they can only pay rent and food if they are lucky enough to get a job. How can we pretend that they can pay 10s of thousands of dollars in student loan debt? Are we to hound them to the grave? The only solution that makes sense is to make these dischargeable in bankruptcy. Take it from one who sees this situation every single day. I am a San Diego bankruptcy attorney. For further questions please visit my websites at www.farquharlaw.com or www.freshstartsandiego.com. Or call my office for a free consultation or for any advice about bankruptcy or debt at (619) 702-5015. Call now for free credit report and analysis! “Occupy Chicago” wants to forgive student loans. Your student loan bailout should be through bankruptcy! The “Occupy Wall Street” movement has created many spinoff movements all over the country like the one here in San Diego. After hearing criticism for their lack of coherent demands, the “Occupy Chicago” chapter came out with a list of demands on Monday. Among other things, like taxing the wealthy and attacking Wall Street, they want student loans forgiven. I argued in a blog that I posted Sunday on the Occupy San Diego movement that student loans should be dischargeable in bankruptcy. In the face of the bailouts that Wall Street firms and banks received more and more people are asking “where is our bailout”? Regular people have a tremendous amount of debt which they cannot afford and they believe that justice demands that they need some consideration from government. It is true that almost 50% of people pay no income taxes but should we bailout the 99% with massive wealth transfers? I say no. Most people in this country will not go for that. I have argued for years on my blog that a bailout plan already exists for the 99% of us that are neither rich nor giant corporations. It’s called bankruptcy and bankruptcy allows you to legally walk away from your debts and have them discharged so you no longer owe them. You can then get a fresh start debt free and keep what money you earn from employment. Everyone can avail themselves of bankruptcy. You don’t have to be a privileged person or corporation to get it. In fact if you make too much money you will be means tested out of a chapter 7. So bankruptcy is available for regular people but there is a problem. Student loans cannot be included in bankruptcy. Student loans currently are not dischargeable in bankruptcy. They do therefore indeed last forever or until you allege “undue hardship” which is very hard to prove. If these student loans were to be included in the lists of debts that people could discharge in bankruptcy then regular people would not be saddled with them forever. They could escape them and move on in life with their student loans forgiven. This could be done so much more easily and fairly in the context of bankruptcy than through some government blanket forgiveness. Bankruptcy has been around for hundreds of years and the systems are in place to handle forgiveness of debt through the filing of bankruptcy. There are trustees and judges to oversee each individual to make sure that the people asking for forgiveness really can’t afford to pay these debts back because the have neither the income or assets to do so. In bankruptcy there are even proscribed exemptions that allow each person to keep a certain amount of property. For most of the 99% this would amount to people keeping all of their property because most people don’t have more than these allowed exemption amounts. This solution will also be so much more palatable to the American public. It allows the forgiveness of the student loan debt but within the confines of the bankruptcy system. Each individual would have to file for bankruptcy to get his student loan debt forgiveness. He would then be examined by a Trustee and he would face a judge if fraud or other problems came up. His income and expenses would be looked at to determine that he could not pay his debts with his current income and thus he is formally bankrupt. Those who could afford to pay the loans would then have to do so in some form but many many student loan debtors would be able to escape these loans if they were dischargeable in bankruptcy. Bankruptcy is no blanket gift. And it would be fair. Many people with student loans cannot afford to pay these loans and they have very little hope of paying them back. They are under employed or more likely unemployed and they cannot afford their living expenses let alone these student loans that have not even landed them a job. It is simply not fair that a person who used their credit cards to excess can discharge those debts but the person trying to get an education and a job can never escape them even if they have no money and no job. But many people will say that if we make student loans dischargeable in bankruptcy then student loans will be harder to get. Maybe that is a good thing and people won’t borrow money for degrees that won’t lead to a job. But I also believe that as credit cards are still obtainable by most people today and they are dischargeable in bankruptcy. Bankruptcy has not stopped that industry and dischargeable student loans will not stop lenders from lending money for these loans either. It also should not matter whether the loans are government or private. If they are private then the loans should be treated like credit cards and if government loans are owed then forgiveness of these loans is only fair in light of the bailouts given by the government to the financial industry. Whether government or private though the effect is the same on people. They can’t afford to pay them back in many cases. (Remember also that IRS tax debt is dischargeable after only 3 years and the IRS still continues to operate). And for further fairness you could make student loans dischargeable after a period of time say 10 or even 20 years. If the student has not paid them back by that time then they are certainly having a problem and they probably can’t pay them back. It is only fair to allow people to escape them in time. I am a bankruptcy attorney practicing bankruptcy law in San Diego, CA. For further information please visit my website at www.farquharlaw.com or www.freshsatartsandiego.com. Or call my office for a free consultation at (619) 702-5015. If you or someone you know are considering bankruptcy then get my Free e-book “13 THINGS YOU SHOULD DO TO PREPARE FOR YOUR BANKRUPCTY FILING” by e-mailing me at farquharesq@yahoo.com. The “Occupy San Diego” movement is currently in full swing in our city. Protestors have marched through San Diego and occupied a park in downtown. It remains unclear just what they are protesting though. Some in the movement say it’s “corporate greed”. According to an article in Sign on San Diego the protestors are not just angry about corporate greed but they also object to the money flowing into the political system from the financial industry and the banks. According to the “Occupy San Diego” website those in the movement say they are for “social and economic justice” and they are protesting “global financial corruption” and the financial influence that has infiltrated everything and led to the current economic crisis. On the “Occupy San Diego” website they also have a list of items they recommend people bring to the protest, along with their tents, much like the lists for camping trips. They tell you where the bathrooms are and whether the are 24 hour or not. They talk about first aid, entertainment, as well as security. Mostly they seem to be ready to stay and occupy these parks in San Diego for a long time as they prepare their list of demands. Apparently the movement is being advertised and spread rapidly by social media and it is gaining steam. Where it goes and when it ends is anyone’s guess. I must admit that this thing is somewhat fascinating as I can’t remember another movement like this even though I don’t necessarily agree with some of the premises like the anti-capitalist, pro-government emphasis. I personally prefer small government libertarian ideas that emphasize personal freedom. But the movement is certainly interesting and I intend to drive by and maybe mingle as I work downtown. We who practice bankruptcy law though do believe in our cause too. We believe that we bring freedom from the terrible burdens of debt to average people who are 99%ers. We regulary help free people from this debt but we also bring equality too. We bankruptcy attorneys can take you down the same road as one of these corporations that regularly file for bankruptcy and shed their debt. Any one individual person (or couple) can file and be just like a corporation. We in bankruptcy believe he average person’s bailout is a bankruptcy. What is a bailout after all except a forgiveness of your debt? You don’t have to wait for the government to give you something that only big financial institutions have. The 99% already have the power to get their debts forgiven. You can get your debts forgiven tomorrow. The legal framework already has been in place for hundreds of years. Average people just have to avail themselves of the bankruptcy process. And if you are unemployed and have no income to pay those debts then bankruptcy makes even more sense. Imagine waking up tomorrow debt free. How would that feel? You could get your bailout just like big financial corporations did if you file for bankruptcy. It’s a wonderful thing for sure. It is also true that many people around the country have massive student loans left over from their education. Many people had to borrow heavily to originally fund their education so they could get a job. Many of those people cannot get a job now in this economy and they have no money to pay those loans back. It is also true that these debts are not currently dischargeable in bankruptcy. In fact Obama’s latest spending bill would allow private collectors for these loans robocall your cell phone to harass you into paying these loans. He is making the situation therefore worse by allowing these companies to go after you for debts which you probably cannot pay. If this movement wants to put in a demand that these debts should be dischargeable in bankruptcy then the movement would gain the support of mostly all those who work in bankruptcy because we believe that these debts should be dischargeable. There is no reason why students should be saddled with these debts forever but someone who over-used their credit cards can get rid of those debts. A stipulation could be put in the new law that the student loan debt would not be dischargeable until they are 10 or even 20 years old. This would give collectors time to collect these debts and if they can’t collect in this time then they would have to forgo collection if the person filed bankruptcy. I believe that it’s fair to say that f the collectors can’t collect within 10 or 20 years then the debtor probably will not ever be able to pay. Those debts are probably uncollectable and debtors should be freed from having to pay them the way financial institutions have been given infusions of cash so they can continue to operate their businesses. How about including that demand that in this protest? If this happens then more people will obtain financial freedom and greater parity with corporations. Student loans can be onerous for people who have no way to pay them in this economy. How about a student loan bailout? Make these loans dischargeable in bankruptcy and that is all you would have to do. As for the protest I will continue to watch with great interest as I want to see where it goes and how it ends up. Will these people ever go home? Will hey set up tent cities? Will violence occur or will they be peaceful? Will police make arrests? How many will join those already there? Then where will they all go? Will they shut down operations in this city? What will happen nationwide? I will continue to follow and blog about this movement. I am a bankruptcy attorney practicing bankruptcy law in San Diego, CA. For more information please visit my website at www.farquharlaw.com or www.freshstartsandiego.com. Or call my office for a free consultation at (619) 702-5015. Call now for free credit report and analysis! If you or someone you know is considering bankruptcy then get my FREE E-BOOK; “13 THINGS YOU SHOULD DO TO PREPARE FOR YOUR BANKRUPTCY FILING” by e-mailing me at farquharesq@yahoo.com. Don’t answer your cell phone! New bill would allow collectors of goverment debt to robocall you! In a move that is not typical of Democrats, the Obama administration is pushing a bill that would make it easier for the private collection industry to robocall your cell phone when you owe a debt to the government. Robocalling is when a collector calls your phone number endlessly, excessively, and ceaselessly, until you tear your hair out or throw your phone away. This proposal is tucked into the deficit reduction bill that is in Congress now according to an AP article and it is intended as a means to collect more money for the government. This law applies to debts owed to government agencies. These debts are primarily student loans but I suppose the law could apply to any government debt like back taxes, tickets, fines, fees or penalties. These debts may have been owed originally to the government but the government will transfer them to private debt collection companies who want to robocall your cell. The department of education apparently has the largest share of these debts at $28 billion that they have passed out to 22 private collection companies. A a Boston-based consumer law center spokesman says in the article that this “is just going to lead to more harassment and abuse, and it’s not going to help the government collect any more money.” The spokesperson goes on to say that people aren’t paying their student loans because they have not been harassed enough but they are not paying these debts because they can’t find a job. The administration as of yet has no estimate of how much money they expect to collect from this practice. I agree that it is likely that very little money will actually be collected by allowing robocalling of cell phones. This new practice will just result in more stressed out people who cannot answer their cell phones for fear of getting one of these collectors on the line. My bankruptcy clients which I interview every day typically are broke and out of work and they want very much to pay their bills but they cannot. They universally have the desire to pay the bills but not the means. I believe in the old saying that you can’t get blood from a turnip. If people have no money and no job then no amount of phone calls will change reality. If you mistakenly pick up a call and talk to one of these collectors then you will get no sympathy and just demands to pay. If you say you have no money they won’t believe you and tell you to borrow the money. These collectors are incentive driven and they don’t appear to care what you have to say as they get paid as much as 17% of what they collect from you. The FTC (Federal Trade Commission) regulates the collection industry. The FTC receives more than 100,000 complaints a year from the collection industry alleging harassment, demands for ridiculously large and unaffordable payments, and threats of jail time (which is illegal under the Fair Debt Collections Practices Act). Apparently the collection industry receives more complaints than any other industry in America. This move by the Obama administration perplexes consumer groups and Democrats alike. The article points out that this bill aligns the administration more closely with the collection industry. Democrats normally are more friendly to those in debt and generally Democrats protect consumers from additional potential harassment. Many Democrats opposed the creditor friendly bankruptcy reform bill of 2005. (Joe Biden supported the law as he was from Delaware where many credit card companies are incorporated). Many Democrats are now indicating that they can’t support this bill. Hillary Clinton sponsored a bill a few years ago to make student loans dischargeable in bankruptcy. That bill went nowhere though and these student loans are still non-dischargeable in bankruptcy. So are the other government fines, fees, penalties, and most tax debt. But the point is that they are not going unpaid because people are not being robocalled enough. People have no jobs and no money and that is why payment is not forthcoming. Robocalling by private collectors is currently allowed under Federal law on landlines but only individually dialed calls are allowed to on cell phones. Since more and more people have only cell phones now the collection industry has been lobbying the administration for this change in the law according to a spokesperson quoted in the article. Apparently the lobbying has worked as the Obama administration has heard the call and pushed for this law. The spokesperson says that robocalling is the most “efficient” way of collecting debts. If you have ever been on the other end of the line that is receiving these robocalls you may have a different view as I have. This is a terrible idea that will collect little money and result in the increased harassment of people with no means to pay these debts. My clients come into my office already tapped out and they have no extra income even when we get their credit card debts discharged in bankruptcy. If these people are not paying on these loans it is probably because they have either no job and no income or they are working at a reduced rate and barely affording their current bills. If you are in this situation or you know someone who is, send them to myself of another bankruptcy attorney in your area. We can help them discharge the credit card and other private debts so that more money is freed up to pay the non-dischargeable government debts like the student loans. You can work out a payment plan for the student loans if you can afford one. If this law is passed then debt collection will become that much more invasive, annoying and bothersome. My advice will then be: don’t answer your cell! I am a San Diego bankruptcy attorney. For more information please visit my websites at www.farquharlaw.com or www.freshstartsandiego.com. For a free consultation on bankruptcy or debt please call (619) 702-5015. Call now for free credit report and analysis! If you or someone you know may need to file a bankruptcy get my FREE E-BOOK: “13 THINGS YOU SHOULD DO TO PREPARE FOR YOUR BANKRUPTCY FILING by e-mailing me at: farquharesq@yahoo.com. What debts are non-dischargeable and what debts are dischargeable in a chapter 7 bankruptcy? 1) Student loans- Sorry! Totally non-dischargeable unless you can prove undue hardship which is very hard to prove. Any loan for any educational purpose is probably not dischargeable in bankruptcy. 2) Government fines, fees, and penalties- Generally not dischargeable in a bankruptcy. Any ticket or fine from a government agency is non-dischargeable. The exception to this rule is the three-year old income tax debt. Generally the government exempts its debts from the bankruptcy system. 3) Spousal and child support obligations- All non-dischargeable and in fact the trustees often ask if these obligations are being paid whether the debtor is the party that owes the support or the party that is owed the support. 4) Debts involving criminality and fraud-Not dischargeable and drunk driving is specifically mentioned in the bankruptcy code under debts that are non-dischargeable. 1) Credit cards and personal loans- Generally all dischargeable. The exception is when the creditor can prove that you had no intention to pay back the debts when you incurred them. They do this by looking at when you charged something and what you charged. Generally old charges are safe as are all charges for necessities. But recent large charges on credit cards for luxuries might be challenged by a creditor at an adversary hearing in bankruptcy court. 2) Medical debts- Usually dischargeable without a problem unless you got some purely cosmetic surgery recently that you had no intention to pay for when you underwent the surgery. 3) Deficiency balances-Deficiency balances on autos, jewelry, furniture, and even second and third loans on homes are all dischargeable in a bankruptcy without a problem if the creditor has already repossessed the original property. If the creditor has not then all he can do is recover the property. He must leave you alone. 4) Debts not listed in the bankruptcy- There is case-law that states that if there is an unintentional failure to list a debt in the bankruptcy then it is dischargeable if there was no fraud, and there were no assets that were distributed by the trustee, and you received your discharge. These are 9th circuit rulings and there are two cases that support this principle so don’t worry about this one. E-mail me today at farquharesq@yahoo.com if you have a particular debt that you have questions about. 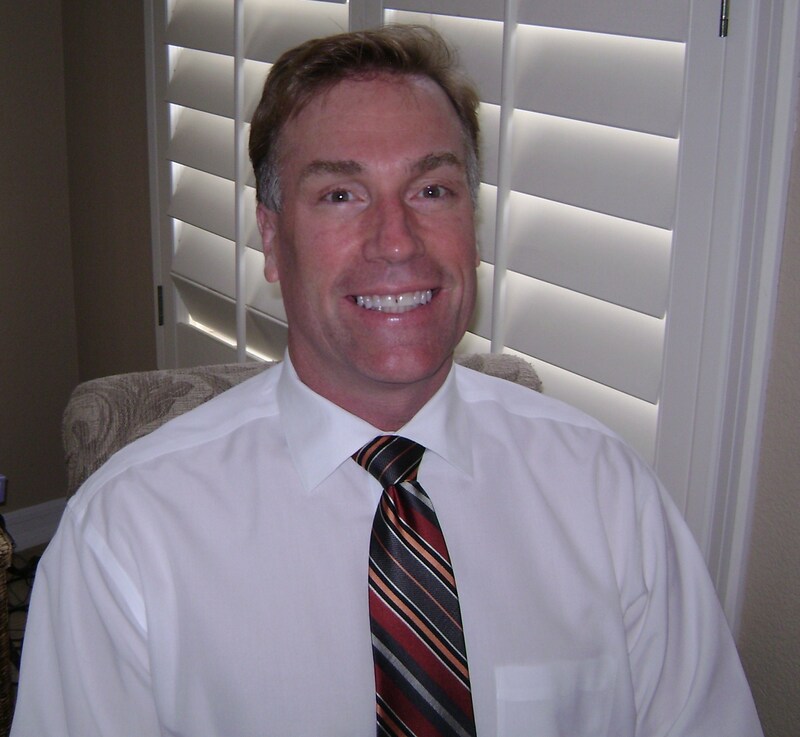 I am a bankruptcy lawyer practicing bankruptcy law in San Diego. What debts are not dischargeable in bankruptcy? The most common types of non-dischargeable debts are student loans, government fines and fees and some taxes, spousal and child support. There are other categories such as debts incurred due to fraud but these are much less common. Student loans– These debts are almost always not dischargeable. Whether they are government backed student loans or loans from a private agency they are not dischargeable. The 2005 BAPCA law saw to that. Loans issued “for any educational purpose” are now all non-dischargeable in bankruptcy and student loans will pass through the bankruptcy unaffected and you will have to pay them. There is a hardship discharge for student loans in bankruptcy but it is very hard to get. To get a hardship discharge of student loans your attorney would have to bring an adversary proceeding in bankruptcy court. This amounts to a mini-trial where all the facts of the hardship would have to be proven. It is expensive and time-consuming to bring such a s case and there is no assurance that you will win. In fact it is apparently very hard to win one of these trials at all. There are stories of judges looking at a disabled debtor and telling them that they though they cannot work any more in their field, they could teach and earn money to pay the student loan back that way. Government fines, fees, penalties, and some taxes– If you get a traffic fine or criminal fine levied by a court or other government agency then those fines are not dischargeable in bankruptcy. That is easy but taxes are more difficult. The main rule for taxes is the 3 year rule that states that 3-year-old income taxes are dischargeable in bankruptcy. So in 2012 (after April 15th) income taxes for 2008 would be dischargeable. This is because these taxes were due in april of 2009. Both state and federal income taxes are dischargeable in bankruptcy if the meet this 3 year rule. There are other rules too but this is the main one that applies to most people. Other types of taxes are not dischargeable so consult with an attorney for advice on your tax situation. Spousal and child support– Forget about discharging these. You will have to pay your ex-spouse or your children after you get a support obligation levied against you. Fraud– Debts where fraud is proven will not be dischargeable. If you get sued and the plaintiff alleges fraud then you want to fight these cases because bankruptcy will not save you from having to pay. The normal credit card suit usually will not contain a fraud allegation but credit card companies can allege fraud in a bankruptcy. This usually occurs if you have very large recent charges on your cards for cash advances or luxury items. If you have such charges then tell your attorney so he can wait some time to file or advise you on the possible consequences if you do file right away. The good news is that if your debt does not fall into one of the non-dischargeable categories then it is probably dischargeable in a bankruptcy! For more info. check out my websites at: www.farquharlaw.com or www.freshstartsandiego.com. Or call my office to speak toe for free about any bankruptcy or debt related issue at (619) 702-5015. Call now for free credit report and analysis! I am a San Diego bankruptcy lawyer. For a free e-book: “13 THINGS YOU SHOULD DO TO PREPARE FOR YOUR BANKRUPTCY FILING” please send a request by e-mail to: farquharesq@yahoo.com.